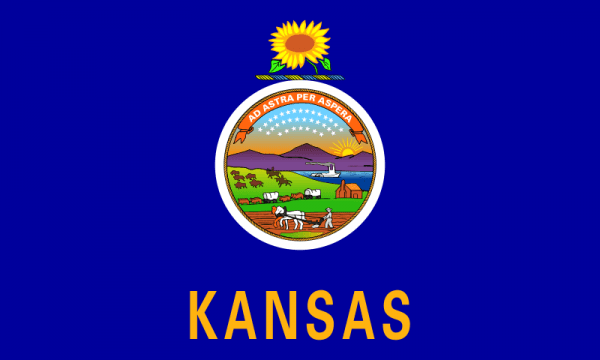 Kansas was the 34th state voted into the United States in 1861 and is also ranked 34th for population at over 2.9 million residents. The Sunflower State is located almost perfectly in the middle of the continental United States and is ranked 15th in the country in size of territory. Kansas was home to several Native American tribes and was settled by European Americans in the 1830’s. The largest city in Kansas is Wichita and the largest metro is in the Kansas City area. The capital of Kansas is Topeka even though Kansas City is a larger region. Kansas City lies in Missouri but is still a very largely populated area in the state. The western 2/3’s of the region is the beginning of the great plains with the eastern third has the rolling hills and forests. When you are in the region of Kansas looking for scrap prices, look no further than the iScrap App to help you find the information needed. Users can search for scrap yards in Kansas including metro areas like Wichita and the Kansas City area. While looking for yards, scrappers can also check the current scrap prices in the region by looking at the profiles on the site. Some yards may choose not to update scrap prices, but users can also report current scrap prices on the iScrap App. The economy is very energy reliant, Kansas ranks 8th in the country for the most oil production and natural gas production. The eastern region’s economy mainly relies on the agricultural industry with crops and cattle. There are some industrial inputs into the local economy through transportation, aircraft equipment, machinery, mining and more. There is a wide variety of industries in Kansas which allows a lot of opportunities of scrap metal to be recycled from previously used items, machinery, and equipment. There are also some major aerospace companies in Kansas which will allow several scrap yards to be involved in feeding the mills and processing plants with more materials for the demand of the surrounding industry. Locate and contact the Kansas Scrap Yards on the iScrap App by searching the map for the local listings in Wichita, Topeka, and outside Kansas City. You can also search for your zipcode to search for salvage yards throughout the state to help you. You can view current scrap metal prices, request containers, and more through the iScrap App.